The Contact Centre Team Leader role is consistently is regarded as one of the toughest in the contact centre. 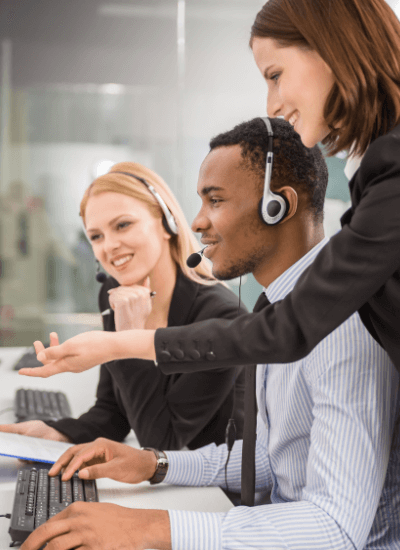 The modern contact centres expect a lot from their Team Leaders and it’s arguably the one role that will have the biggest influence on your call centre’s culture and performance. And whilst the expected functions of a Team Leader can differ between organisations, coaching, performance reviews, escalations, team meetings, reward and recognition, rostering, sick leave management and more can all form part of their duties just to name a few. We said earlier its one of the most important jobs in the contact centre and this can’t be overstated. As the contact centre Team Leader is directly responsible for a number of employees (around 15 is normal) if they are disengaged or lack the right skills you run the risk of having 15 employees that are also disengaged. And you know what that means – reduced performance, increased sick leave, increased turnover and a declining customer experience. Understanding how call centres operate and what are the levers required to drive performance. How to provide effective coaching and provide constructive feedback. How to effectively lead a team. Leadership Skills – arming the course participants with the skills and knowledge to provide leadership, coaching and performance feedback skills in a contact centre environment.